A dynamic, improvised sound / voice performance, Seeping Through. 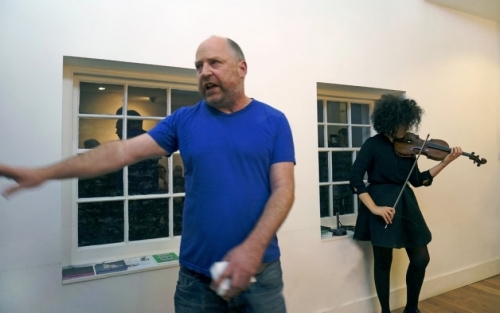 Tim Etchells and collaborator, violinist Aisha Orazabayeva, present their dynamic, improvised sound and voice performance "Seeping Through" at Tom Thumb Theatre in Margate on Friday, November 11. The performance will be revisited at Camden People's Theatre in London on Saturday, November 26 at 9 pm.